Immediately I told my friends about this but they were not interested to listen (Even in my real life most of them really don't understand when I speak about my Faith in Baba). But Baba at that moment protected us from the flood. I woke up with so much of bliss and happiness. Baba assured me that He would protect me from any calamity and Baba proved that He is with me and I need not worry about anything. I am so lucky and blessed to have Baba in my life. Visist to Shirdi and appearance in dream are equally auspicious. 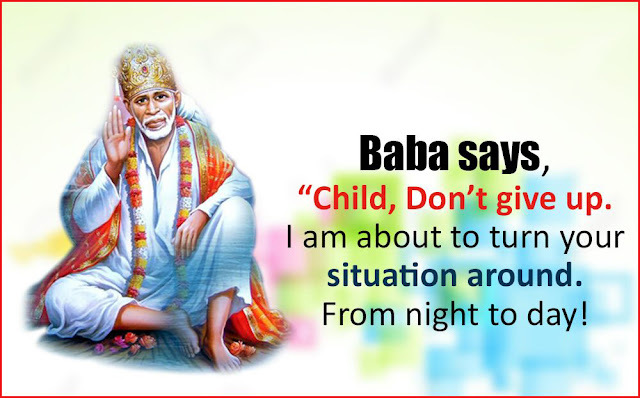 Every Sai devotee wishes to have His darshan in their dreams, and those who experience this are truly blessed. It must be due to some good karmas in our current or previous lives and it's not a mere dream or coincidence; it’s Sai truly talking to us and specially meeting us in person and blessing us. Love You Deva, Jai Jai Ho Sai!